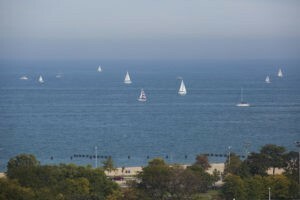 While the park that Lincoln Park is named after and Lake Michigan provide for a special experience in and of themselves, there’s so much more to explore than just abundant open space. Are you looking for a good running path? Perhaps a bike ride along the Lakefront Trail? Maybe you’re just hoping to relax, play some Frisbee in the park and soak up some sun by the lake? 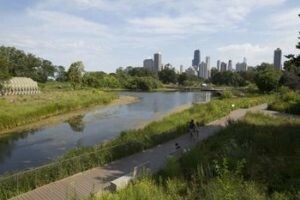 Any way you slice it, our neighborhood’s parks and lakefront are the best outdoor spaces in Chicago. Nature doesn’t stop once you enter the lakefront’s popular cultural destinations. Visit the Peggy Notebaert Nature Museum and you’ll be engrossed by the incredible Butterfly Pavilion and a look at Chicago’s prairie past. Walk five minutes south to celebrate nature of all kinds at the Lincoln Park Conservatory. Here you’ll not only find Midwest plants, but warm up on a cold winter’s day with lush, tropical plants too. The fun doesn’t stop there! After learning about the animals that are native to Lincoln Park and the different orchid species, head a little further south to the Lincoln Park Zoo, Chicago’s free, open 365 days-a-year destination for everything from snakes and sea lions to zebras and monkeys. The Lincoln Park Zoo has recently undergone several exciting renovations with a new polar bear and penguin habitat set to open this year. This is a must-stop spot with friends, family or that special someone. 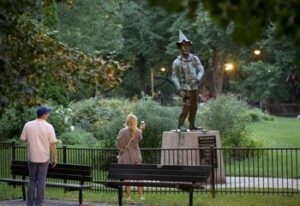 From the neighborhood’s namesake park to Jonquil, Oz, Wrightwood and other area green spaces, Lincoln Park is home to dedicated outdoor spaces at nearly every turn. These parks provide for amazing opportunities to celebrate summer in the city, play a game of Chicago’s own slow-pitch softball with friends or picnic with family. Lincoln Park’s ample green spaces contribute to the neighborhood’s walkability and unique sense of place.